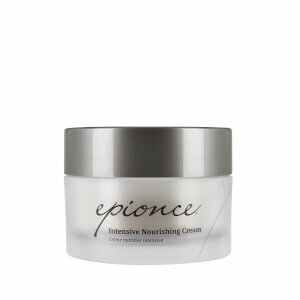 Give your skin the strength it needs to stay bright, healthy, and beautiful with Epionce Enriched Firming Mask. The intensely hydrating, powerful treatment rapidly repairs and restores the skin's barrier function, increases skin elasticity and firmness, and reduces redness and irritation. The highly emollient formula contains a proprietary blend of key neurotransmitter and barrier lipids, antioxidant botanical extracts, and potent, powerful humectants. Ideal for those of all skin types, especially skin that has become compromised or dehydrated due to environmental conditions or overtreatment. Apply an even layer of mask to clean skin. Leave on and let dry for 5-10 minutes. Rinse thoroughly with warm water and pat dry. Proprietary blend acetylcholine precursor lipids deeply nourishes and restores moisture levels. White Willow Bark purifies and clarifies. Flax Complex absorbs excess oil. This is my favorite product! Does exactly what it says. The redness in my face has been drastically reduced and helps firm up your skin. Great for fine lines. Not thick or greasy at all. Use this a lot to sleep in overnight. This is definitely a must have! I love this product and use it several times a week. I have very dehydrated skin and it really helps. I received a gift of the epionce lip cream with my last order and that is now been added as one of my favorites. I will definitely be reordering it when this one runs out. My dermatologist and esthetician use this firming mask after facials and silk peels as a moisturizer so I purchased this product for the same use! I use it nightly after washing my face and using a toner (also Epionce products...I'm a convert!) and it moisturizes all night and does not leave my face oily after use. It is especially hydrating in the summer if I get too much sun on my face. I love this. It smells amazing, and really brightens and tightens. I love all of Epionce's products. They are pricey, but you definitely get what you pay for. Their product over deliver. I just started using this mask in conjunction with my NuFace and the combination really plumps up my 44 year old skin and gives my face a nice lifted rested look! 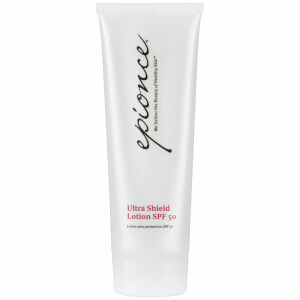 I love Epionce products and the mask is another great product. I use 2 times per week and my face has a glow after using the mask. It helps create moisture and firming. I have purchased for family members for gifts. The price is reasonable and I will continue to use. This product is fantastic. It is a daily go to product for me either in the morning or evening. It provides me with the much needed hydration my skin needs. In mornings, I put it on and go about my morning and then wash my face and get ready. In the evenings, I put it on after I wash my face and leave it on all night. I love this product and highly recommend it. I use it daily as I have dry skin that constantly needs hydration. It was recommended to me to use nightly which I do and find it very effective.